Quilty Math Workbook printed booklet now available! I am pleased to announce that the Quilty Math Workbook is now available as a printed booklet. I still think the PDF version is more ideal because it's really easy to print multiple copies of each worksheet, but if you do prefer a printed booklet, I recommend photocopying the worksheets so you can keep the original booklet clean for use again and again. For quilt pattern designers interested in how I created this booklet, this time I went with the new beta paperback publishing within Amazon's KDP (Kindle Direct Publishing) even though the Quilty Math Workbook doesn't really work as a Kindle book--paperback only is now an option. I still like IngramSpark for the Giant Dresden Christmas Tree Skirt because their color printing is higher quality and you can do a booklet that is less than 24 pages. This week, I accomplished a mega goal I set for myself. I am pleased to announce that my first printed pattern is now available. The Giant Dresden Christmas Tree Skirt is available through Amazon.com. Are you a pattern designer interested in learning more about how to publish your own printed patterns? I'd love to tell you more! Keep reading! 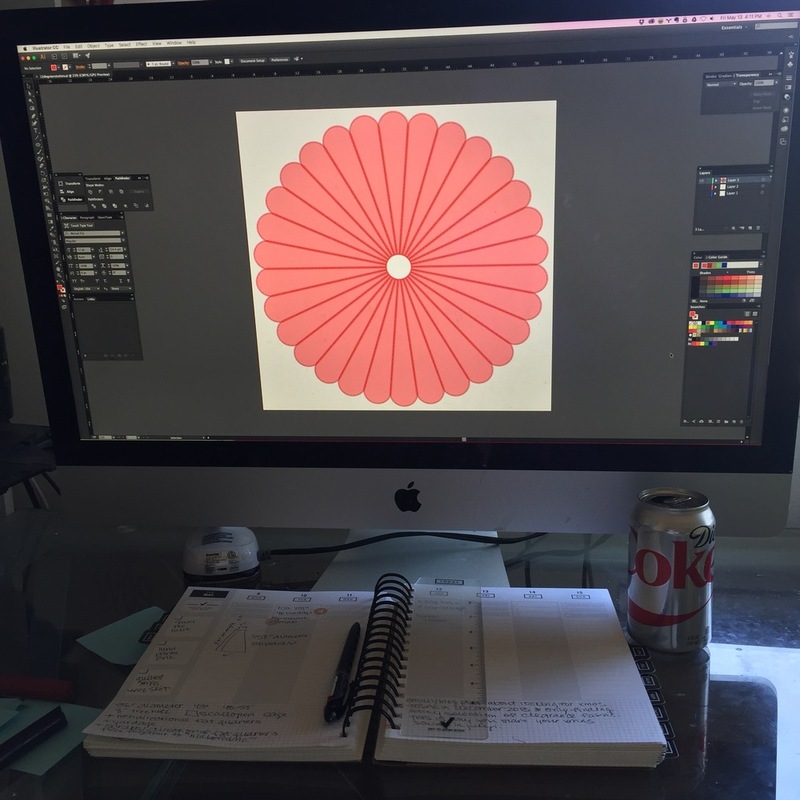 I started out creating just the PDF pattern that I sell through Gumroad. I like Gumroad because they handle VAT in the EU for me. Creating the PDF required my time to sew the sample, create the illustrations, and the text plus the cost of materials to create plus I paid out of my own pocket for photography and page layout. When I sell a $10 pattern on Gumroad, I make $8.90. The fee Gumroad takes covers credit card processing and that VAT (value added tax) in the EU. 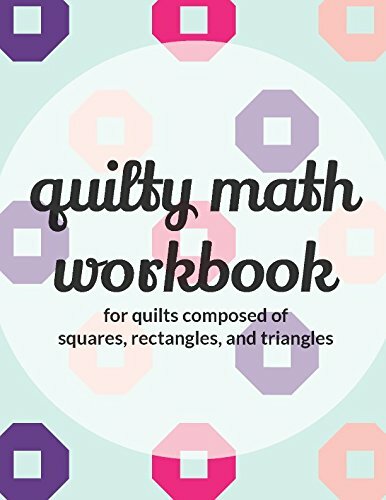 My first product, Quilty Math Workbook, is only available via Gumroad. Next, I created a Kindle version which took an additional amount of my time to do the formatting and, while you can create a Kindle book from a Word or Google Docs file, I use Scrivener which is a software I purchased for a one-time cost of $44.99. I like Scrivener because it's easy for me to create a much cleaner and neater looking Kindle book. If you want to create your own Kindle book, you can get started here. Kindle book pricing is interesting in that if you set your price between $2.99 and $9.99, you make 70%. If your price is lower than $2.99 or higher than $9.99, you only make 35%. I like nice easy round numbers, but 70% of $9.99 is a lot more than 30% of $10 which is why my Kindle book is a penny cheaper. When I sell a $9.99 Kindle version of that same pattern, I make $6.94. I make less on each copy of the Kindle pattern, but it only takes me about one additional day of work and no additional out of pocket cost and my goal is to reach more customers through Amazon (they have an amazing recommendation system) that I wouldn't reach otherwise. My second product, Half and Half Quilt Pattern + eBook, is the first product I made available through Kindle. I used a similar method to make an ePub version available through Kobo. Honestly, I've only had one Kobo sale total but after I set up the pattern in Scrivener it only took me a few minutes to make an ePub from what I had created to make my Kindle version so I think it was worth the time and hope to sell more copies there eventually. The most frequently asked question I get is "Can I get a paper copy?" I really don't want to deal with storing inventory and shipping out physical stuff so, until now, that answer was always no. But then, I discovered IngramSpark! IngramSpark will print books on demand and if you use their extended distribution system, your on demand books will be available through Amazon.com. IngramSpark is very similar to Amazon's own CreateSpace, in fact, CreateSpace even uses IngramSpark's distribution system for their extended distribution. CreateSpace has no upfront costs for publishers who want their printed books to be available only through Amazon.com (they make their money by taking a cut when you sell a book) but I couldn't use CreateSpace because they have a minimum page count of 24 pages for a 8.5 x 11" book and my quilt pattern is shorter than that. When I sell a $10 copy of my pattern through IngramSpark, I make $4.52 (IngramSpark also makes money by taking a cut when you sell a book and the cost of the printing, for which I selected all the premium options to ensure my customers get a quality product, comes out of what the customer pays for the book). It'll take me 30 printed patterns sold to make up the cost of the set up fee and ISBN number, but I'm very optimistic that with the number of inquiries about printed patterns that I get, I'll be able to start turning a profit quickly. My third product, Giant Dresden Christmas Tree Skirt, is the first product I have available in printed format. I make less profit per copy with each format (PDF then ebook then printed) but I hope to reach more customers with a small additional investment (time, money, or both) each time I can offer the pattern in an additional format with the end goal of maximizing how much I can make from designing the quilt and writing the pattern. The Half and Half Quilt Pattern + eBook is now available from Fat Quarter Shop! It is such an honor for me to be listed as a Pattern/Book Designer there. You can also purchase the Half and Half Quilt Pattern + eBook directly from me in PDF format, on Amazon in Kindle format*, or in ePub format from iBooks or Kobo. I am hard at work on the Giant Dresden Christmas Tree Skirt. I've had the idea in my head that I wanted to make a quilted Christmas tree skirt since 2013. I went to buy holiday fabric at my local Christmas shop after Thanksgiving. Silly me. Little did I know, all the good holiday fabric was long since sold out by then and they had a skimpy clearance selection. Back in September last year I thought to myself, "Ok, I'm finally going to get it together and purchase my holiday fabric way before December and get this done." I bought a fat quarter bundle of Cotton + Steel's Tinsel collection. And the rest of 2015 went by and I didn't get a Christmas tree skirt done but I wasn't really motivated because we didn't even put our Christmas tree up since I didn't want to deal with trying to toddler proof it. And then a couple months ago, I saw Cotton + Steel's 2016 Christmas collection Garland and I really wanted an excuse to use it to but I still had my 2015 Tinsel fabric that I hadn't used yet. And then, a couple weeks ago, the lovely Jen Frost emailed me and asked if I had any Christmas quilting patterns. And I said, "No, but I have a great idea for one!" This week, I got all of the math worked out for my Giant Dresden Christmas Tree Skirt, I got my petals cut from all that gorgeous Cotton + Steel holiday fabric, I got the Christmas tree skirt "quilt top" and backing pieced. Next up, I need to sandwich, quilt, and bind and write and format the pattern. The pattern will be available for sale in July; first in a collaborative bundle with Jen Frost and later on it's own directly from me. The bundle will be an amazing deal. Click here to get on the Giant Dresden Christmas Tree Skirt interest list to make sure you don't miss the release. My Drunkard's Path Quilt Pattern + eBook is on the back burner at the moment. I have fabric picked out but I'm still working on quilt design concepts. I'm just not in love enough with any of the designs yet to dedicate the time to cutting and piecing it. I'll keep playing. I've got the binding on the jelly roll baby quilt I made for my sister in law. The baby shower was last week but I've got about a month before the baby is due. It's in the wash right now getting it's final crinkle and then I'll need to get some nice photos for my Quilt Gallery and mail it off. I plan to update the tutorial blog post with illustrations and ultra clear directions in the near future.